Easy Bin Rubbish Removal - Garden Services, Rubbish/Waste/Clearance based in Southampton, Hampshire. 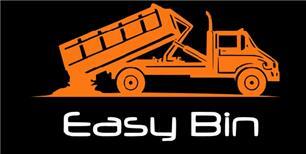 Easy Bin are committed to providing an efficient, responsive, professional and courteous service to all our customers. We dispose of all our waste collections in a responsible recycled manner, ensuring that we are safeguarding the environment in everything we do. EASY BAG - 1 Tonne Capacity. JUNK BAG - 1.5 Tonne Capacity. Easy Bin, "Simple & Affordable"! We offer full service waste clearance from homes, businesses and trade waste. Easy Bin can provide a SAME DAY service. Waste is recycled wherever possible, 93% current rate.